Doug from the Pegu Blog taught me the idea of turning a pineapple upside down and cutting the leaves to make a stem, such that the upside-down pineapple becomes a goblet for a drink. The recipe he gives there is deliciously rummy, but I wanted to get my blend on, so I got some coconut milk from the local asian market, and blended it with lime juice and dark rum. I saved some nice-looking leaves from the pineapple base and skewered them on a toothpick for a quick and dirty garnish. A longer bamboo skewer would have looked a lot better, but as it is it reminded me of a little sailboat, taking me to some exotic tropical destination. I learned to blend before I learned to mix drinks, and I love to make a good smoothie, even without booze. I don’t make frozen drinks very often, but since we’re on the subject, I thought I would share here some tips on creating the optimal blend. Unfortunately, when I blend I go by feel, so I don’t have an exact ratio to give you. Blend first without ice, to gauge the flavor, and then again with ice. There’s no magic to making a good pina colada, but rather you must exercise your good taste, and strive for a balance of flavors which captures the essence of the pina colada. 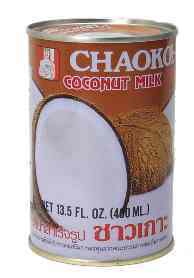 In a perfect preparation, there will be about 2.5 times as much ice by volume as pineapple chunks, and the coconut milk will add the necessary aqueous element to allow the blades of the blender to turn smoothly. Even with my ridiculously powerful vitamix, if the drink is too dry, the blades will form a little vaccuum around themselves at the bottom the blender, and turn without turning the drink. Blending all of the ice into a slushy texture dramatically increases the dilution of the drink, and makes it very cold, so it becomes necessary to add a small quantity of simple syrup. Otherwise, the ice will numb the tongue, and the drink will be bland. I suggest blending the fruit and juice before introducing the other ingredients, so that you can establish a good baseline of flavor before committing to ice. You probably want a ratio of about 2/3 blended pineapple to 1/3 coconut milk, and about 1/2 oz of simple syrup for every five ounces of fruit, but I just made those numbers up. Keep the lime in parity with the simple syrup, and constantly taste it. Is the coconut fully expressed in combination with the pineapple? if not, add a bit more. Is the total drink sweet enough? Before it is iced, it should be just slightly sweeter than you want the final product. Once you have perfected your smoothie, add about 3 oz of rum per person, and then blend with ice. 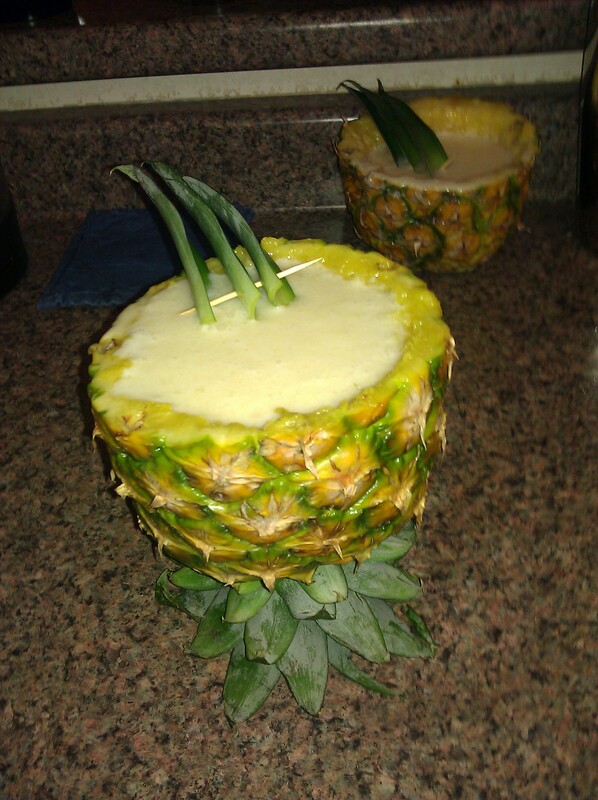 Hollowing out a pineapple is kind of a pain, but it’s worth it once in a while to beat the heat. Categories: classics, tiki | Tags: blender, coconut, pina colada, pineapple, rum | Permalink.